Entries tagged with “Spark Plugs”. The new AC-Delco Tune-Up Kit. A matches set to end mix-ups. There’s nothing worse than starting a tune-up on a Saturday morning – only to discover that you’ve picked up the wrong parts. To help end Saturday morning foul-ups. 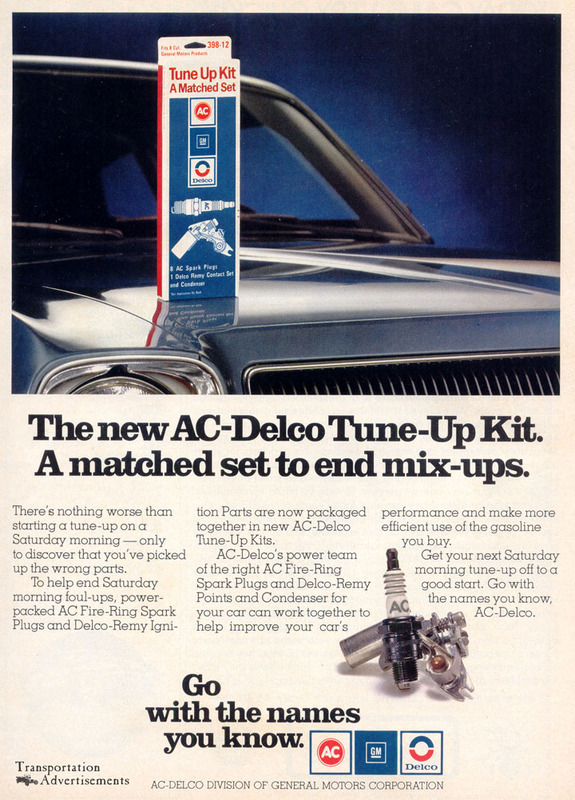 power-packed AC Fire-Ring Spark Plugs and Delco-Remy Ignition Parts are now packaged together in new AC-Delco Tune-Up Kits. AC-Delco’s power team of the right AC Fire-Ring Spark Plugs and Delco-Remy Points and Condenser for your car can work together to help improve your car’s performance and make more efficient user of the gasoline you buy. Get your next Saturday morning tune-up off to a good start. Go. with the names you know, AC-Delco. Go with the names you know. 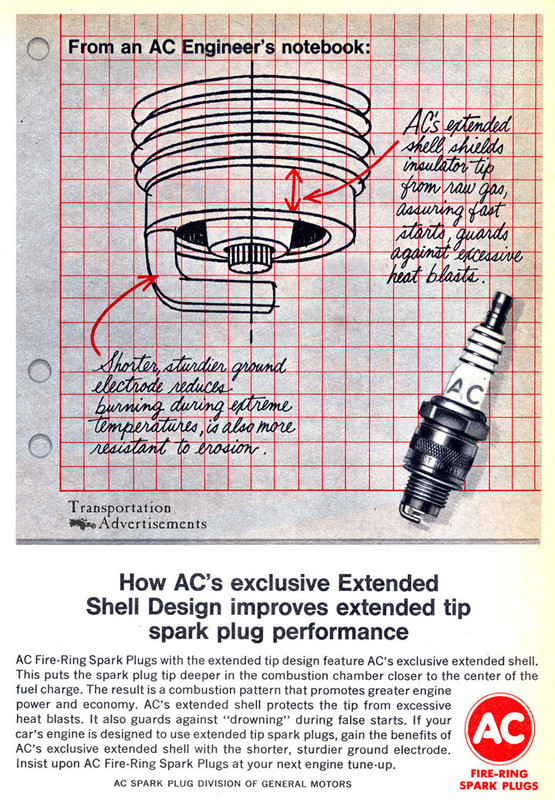 The second I’ve found so far of the “Engineer’s Notebook” ads for AC Spark plugs. Transportation Advertisements is powered by	WordPress 5.0.4 and delivered to you in 0.511 seconds using 30 queries.